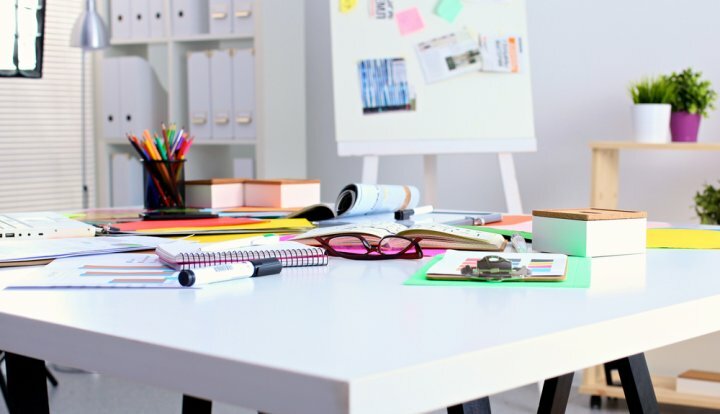 Make the Right Impression on Colleagues in 2019 with These 10 Best Corporate Gifts in Bangalore. Even Corporate Gifts Can Make Their Day! 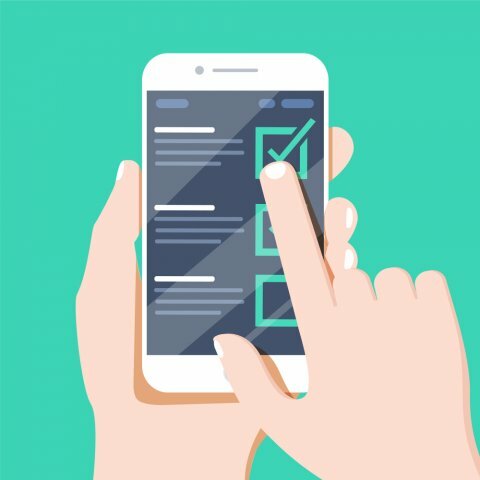 Do you work in the Silicon Valley of India? 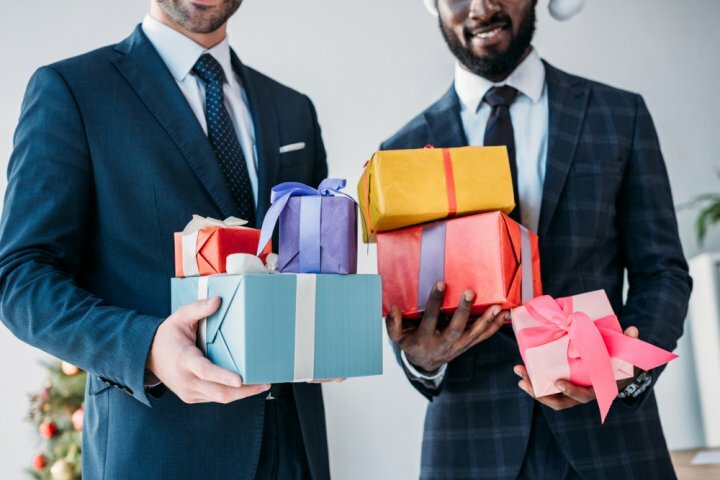 If yes, these 10 gifts are for you that you can gift your colleagues and coworkers or even your boss or clients to make the right impression without being seen as too much. 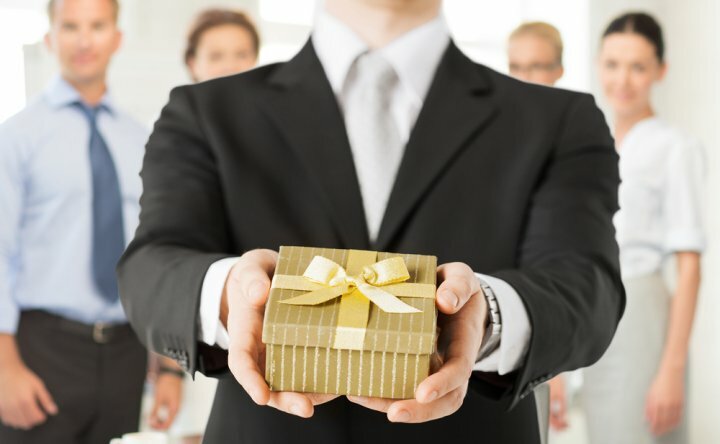 Corporate gifts can boost your relationships significantly. Get these simple yet impactful corporate gifts which are available online in Bangalore. Gifting is not something that is simply confined to personal spaces and relationships. In a corporate world, in order to maintain the necessary relationship with client, important partners and colleagues, a gesture or token of appreciation is much needed. This helps maintain cordial relationships between one another in both official and personal terms. This is where the concept of corporate gifting comes into play. It is not just bonuses or discounts that matter, something gift wrapped always brings a smile on another person’s face. And a subtle feeling of happiness or concern can pave a long route that is smooth and bump-free. Finding the perfect gift for someone you know personally would be very easy. But if you only know a person in their official capacity, the task gets difficult. 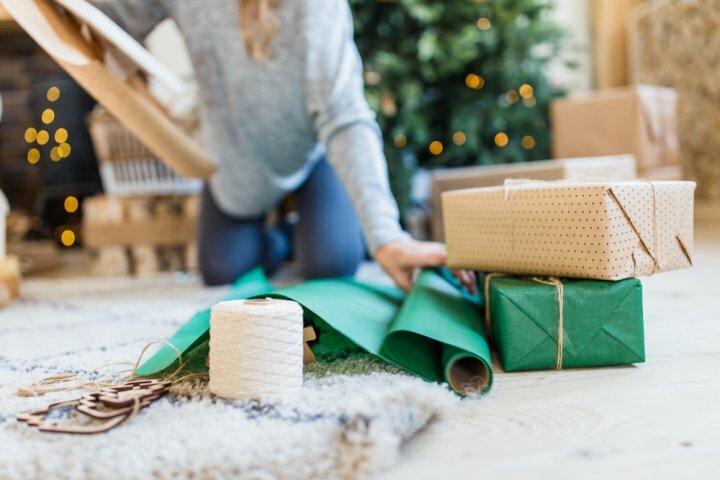 When you hold an office, or are in a position to handle the clients, it would require of you to find the perfect gifting articles to be given away. That is where our assistance comes into play. We will help you find the perfect corporate gift, even ones that are exclusive to Bangalore. Follow our tips and tricks to find the perfect corporate gift. While making an online purchase always go for reliable websites. 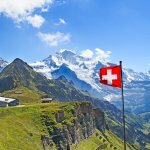 That is, websites that have a good status among general public and those with reputed track records. These ensure that whatever purchases you have made, comes from trusted vendors. These sites also have hassle free return policies and ensure good quality products each time. There are also sites that are exclusively dealing with corporate gifts. Among the products we list below, you will also find various trusted websites to shop from. When you go in for an online shopping, or a straight forward purchase, if it is for a corporate gift, choose things that are work related. Even if the gift is meant to be slightly personal, go for things that can also be accommodated in the office or work environment. Steer clear of highly personalised and intimate gifting and maintain the official capacity and decorum. When the decision has been made to put in the corporate gifts into play, before making a purchase, or random online orders, fix a budget. 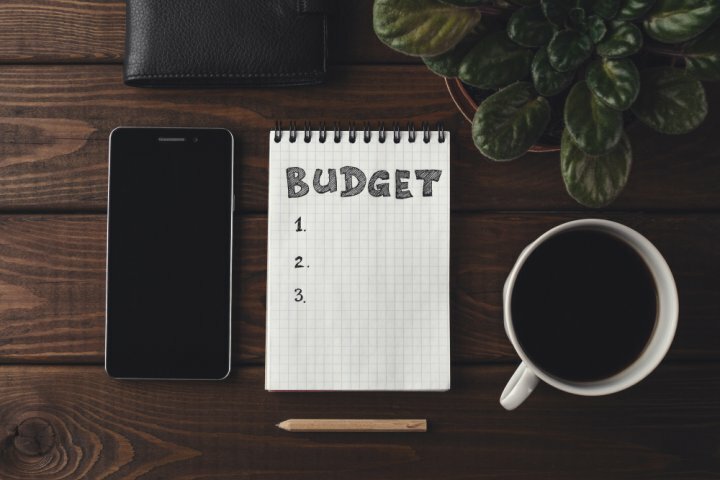 A budget always helps maintain a clear-cut idea of the products required, makes the search much easier and is also beneficial for the finances of the institution. Most of the time, corporate gifts tend to be ordered in bulk. So, fixing an allotted budget for the required number always makes things a lot easier than without one. The quality and durability of a product shall never be compromised on. It is an obligation and duty of the presenter to make sure that the gift is of good quality. 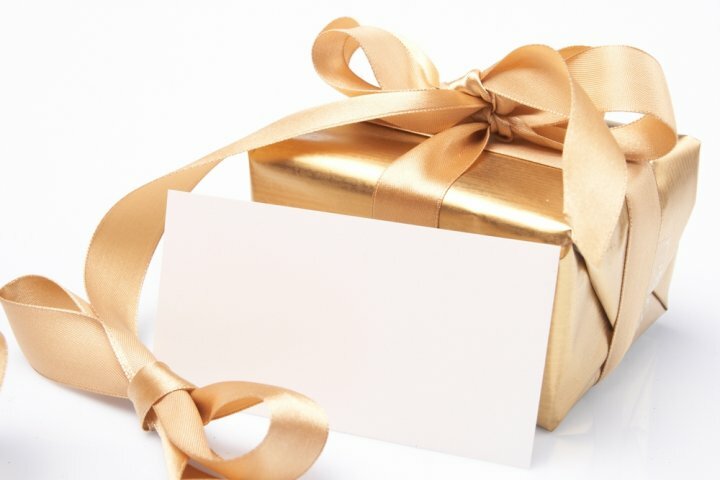 These gifts are a mirror projection of your standards and values and no matter how trivial or pricey the gift may be, in a corporate world of competition, these things matter. In short, always make sure each gift is of top-notch quality, and if it is not, do not gift! 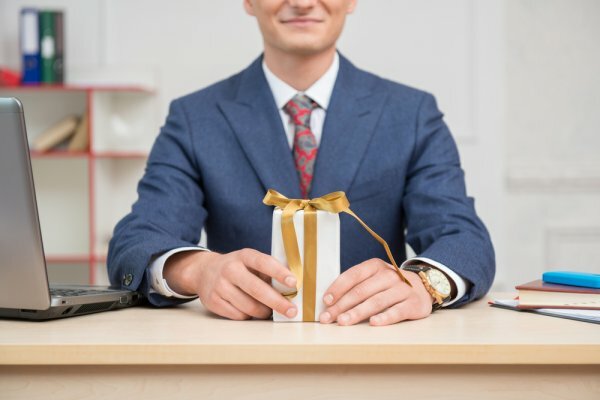 The key to corporate gifting is to give things, that acquire a permanent position in the heart of the receiver, or in the office of the receiver. Do not spend money on things that would be discarded as a piece of junk. Invest in quality pieces that gives a constant reminder of you and your work. To achieve this, gift things that never go out of style, or are never outdated. Such things are sure to gain a permanent position in the mind of the receiver for sure. Antiques are just one of the examples of such gifts. To make things easier and more of a cake-walk, we have put together our best corporate gift suggestions. 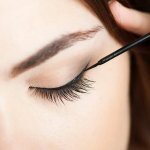 These are unique pieces that fulfil each of the tips and tricks mentioned above. If you are confused, do not ponder further, but close your eyes and pick as many products as needed. Each one of these would for sure earn you many brownie points. Without further ado, let’s get started. 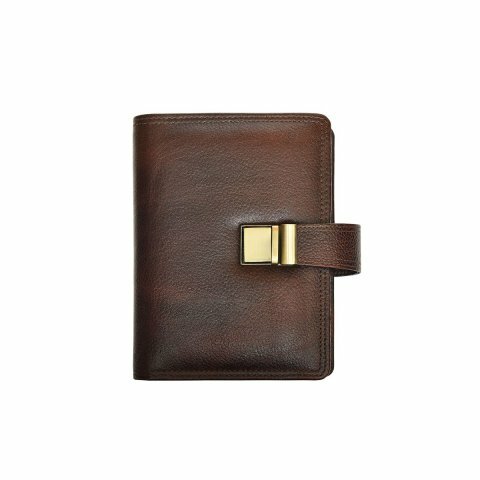 The Premium Leather Organiser with Brass Clip from giftfest.in is our first pick. Every company or institution shall have their own diaries, or organisers. These are the perfect token of gift that are utterly useful to clients, partners and other colleagues. 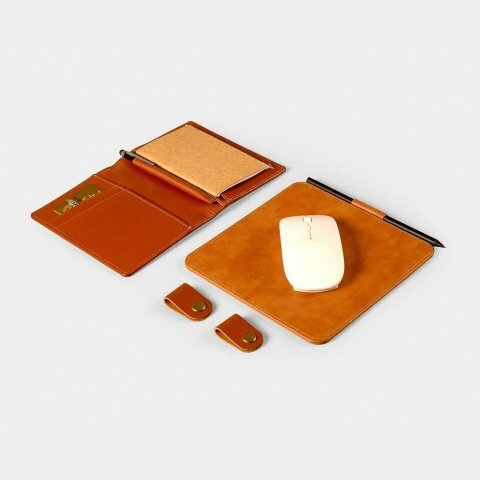 You would think, this is just another organiser, what makes this piece stand out is that it is leather covered, and comes with a standard golden metal clip, that would put any other normal organiser to shame. 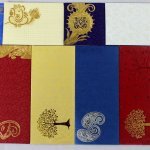 These stand out due to the colour and gold detailing and lacks all graphics and prints that ruin the cover over every other diary. Instead of the on-face advertising, go for subtle customisation, that gives people the sense of style to carry this leather journal with them. The spirals are also golden detailed, giving this organiser a feel that it is worth carrying around. The website provides options for customisation making things all the easier. This is one of the safest, thoughtful and useful gifts to be handed over to another. This leather organiser is priced at Rs.750 per piece. Keep a few of them stacked and use it all round the year. Pens can be bought at the rate of two rupees or several thousands. They also fulfil the same purpose. But the key of gifting is to find unique exquisite things even from the most ordinary ones. 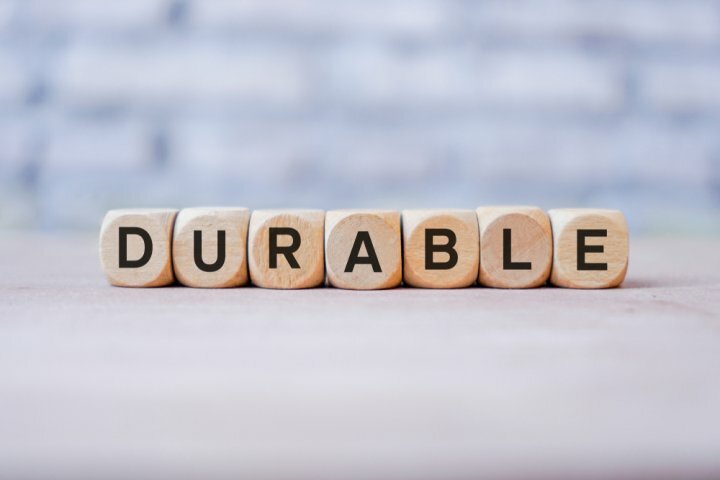 A classic pen that one would feel like pinning on to the shirt pocket, or keep safely in the purse for important signatures, will make a great corporate gift. With every signature made with that pen, your name and firm are being embedded in his or her mind. This would surely benefit you in so many unprecedented ways. The Cross Calais Chrome Ball Pen from prestogifts.com would make an excellent choice. 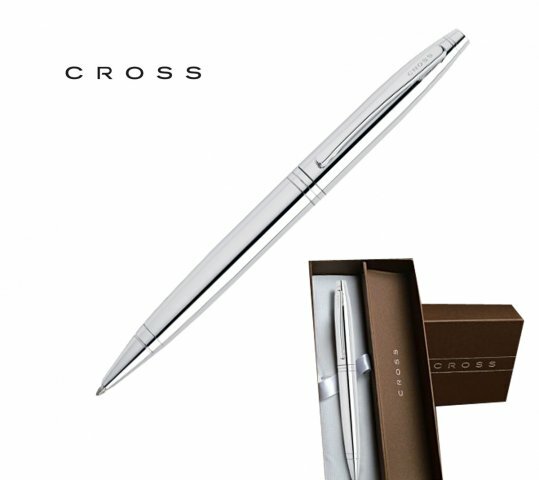 The silver shiny finish cross – ball pen with lustrous chrome cap, chrome barrel and polished chrome appointments give a glorious writing experience. The specially formulated cross ink flows flawlessly for unparalleled writings. The website provides the option of customising the pen with engraving of names and logos. They also provide proper gift wrappings with same company name. The most attractive part of this purchase is that bulk orders have striking discounts. This pen is priced at Rs.2,215. When it comes to choosing personalised gift for a male client or colleague, go for a tie and cufflink set. Even though it is a personalised gift, with a piece of clothing and accessory, it has the edge of a formal occasion to it. Make sure the designs chosen are subtle and stick to sober basics. Also, make sure to purchase from a good brand to avoid any mishaps during usage. The Alvaro Castagnino, Men Black Accessory Gift Set is a classy tie and cufflink set from myntra.com. It has a black checked tie, a black solid pocket square, a pair of silver-toned, black oval-shaped cufflinks, that are secured with hinged back closure. This tie and cufflink set come in the signature, Alvaro Castagnino case that resembles a silver rectangular trunk. This accessory gift set is priced at Rs. 2,199. Shelves have become boring and old fashioned. Stacking books side to side in the old-fashioned way, or one top of another in a shelf is an idea that has passed. It's the time for Bookends. Your very own shelf, anywhere, anytime and any size. Bookends are a favourite among avid readers. They are not just an accessory for the books, but also unique showpieces. This is one thing that can work magic in a home library as well as in the office. The stacks of books and registers can be kept in between these two pieces. 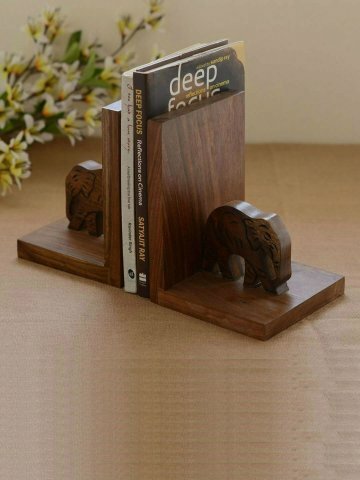 The Unravel India, Brown Wooden Handcrafted Elephant Bookends from myntra.com is an absolute favourite. The bookends have two wooden elephants, hand carved and placed against wooden blocks made of sheesham wood. These are solid enough to hold books close together just as in a shelf. This is not only a unique useful item, but also a piece that would take the interior of a room, to a notch higher. These are perfect for office tables and shelves. Aids both as decor and desk organiser. This wooden bookend is priced at Rs.909 only. Time is something all of us are given equally every single day. The difference is only how well one spends the same. A clock is a countdown measure for every second that passes, but is also a very unique gift. Could be thought of as a gift of time. A desk clock would make perfect corporate gift, something that helps prevent the time spend over phone through mindless scrolling, in the name of a time check. 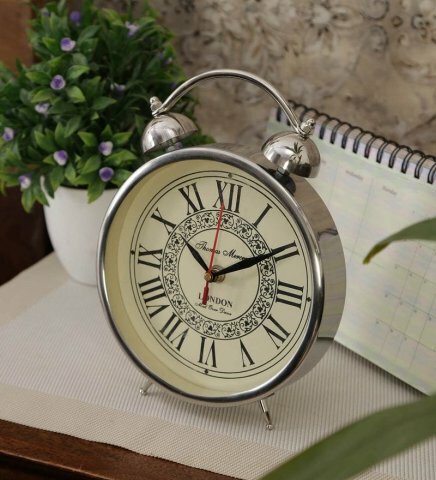 The Chrome Steel Antique Vintage Thomas Steel Retro Table Clock from pepperfry.com is the perfect Retro gift clock. These are retro, designed in such a way, to meet the present sense of style. The clock is made of materials that require, minimum maintenance. The dimensions include a length of 7 inches, width of 2 inches and height of 9 inches, weighing around 0.45 kg. The steel finish and white dial of the clock gives a beautiful compliment to one another. This retro desktop clock is priced at Rs. 2,809. Nothing works anymore without the internet. A laptop and internet are a must have in this digitised era to get any kind of work completed. But it is often not possible to carry around these things in your hand. A heavy laptop, a charger, notepads, pens, everything needs to be arranged and carried with ease. That is where the laptop bags come in in the form of corporate gifts. These bags are useful, extremely professional and make great gifts. The customised Portronics Unisex Element Laptop Bag from printland.in is a unique customisable bag, made in cotton canvas. The material is unique and is of latest design. The design smartly balances professionalism with style. These bags can be wired internally to charge using power banks. The material is highly durable and can also be used as a casual bag. It has compartments to fit in all your knick-knacks. 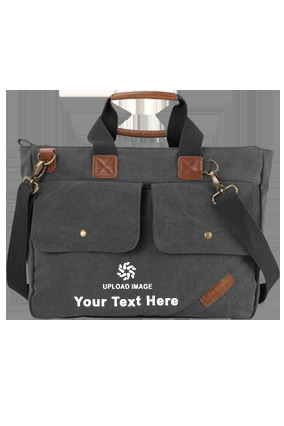 The website also gives the option of customising the bag with names and logos as per requirement. This laptop bag is priced at Rs. 1,499 only. The charges reduce on bulk purchases. A pen holder is an inevitable element of any office desk. Be it big or small, it is a desk organiser, that is much needed. Instead of going for cheap materials, while intending to make it a corporate gift, go for a wooden pen holder instead. But isn't just a pen-holder something cliched and too simple to be a corporate gift? The solution is to bring a twist to this simple wooden pen stand. The wooden Pen Holder from prestogifts.com is a revolving wooden multi holder. It is a wooden square holder with three compartments, to sort things better. Also, the attractive part is, this wooden pen stand is also a photo frame. 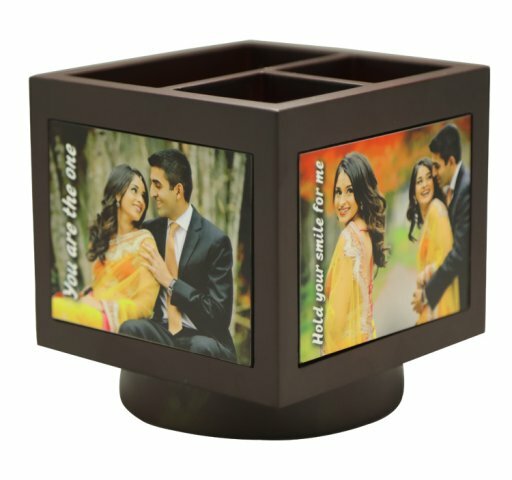 The sides of the pen stand can be used as a photo frame, thus making it something with both an official and personal touch. All four sides may be used for keeping pictures. This wooden pen holder is priced at Rs.1,249. Nowadays everything has gone digital. Meetings and interviews too have started to take place over the phone. Long calls and telephonic radiation are harmful for us in every way. Also, the increasing risks of phone being heated up. To bring a solution to all these woes, to make driving and talking more safer and to make use of the maximum time one has, there is a perfect gadget. A perfect gadget that makes up to be the perfect gift. 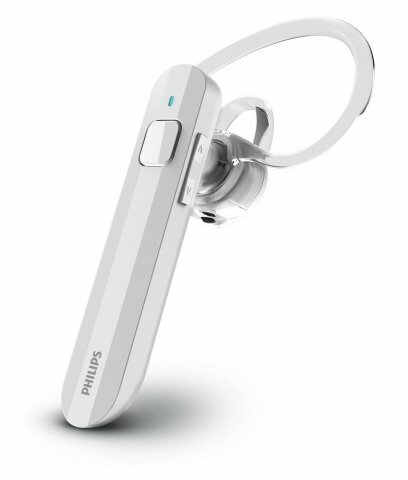 The Philips Bluetooth Mono Headset from amazon.in is the perfect buy. It is a Bluetooth enabled wireless hands-free talking gadget that gives clear and echo-free calls. The Bluetooth HSP/HFP is universally compliant and comes with easy pairing. The headphones also are music enabled. The transmitted energy through your head is much lower than that radiates from a mobile phone and also Bluetooth decreases the potential risks associated with cell phone radiation. This is a worthy buy, and would be a much-appreciated gift. It is priced at Rs. 1,299. No office table is whole without a paper-weight holding down stacks of files and paper. Even if a weight is not being used, it is an indispensable part of the office stationery. Paper weights of different designs have always been deemed as a gift, especially among corporate setups. Always opt for paper weights, they serve more as a curio or centrepiece. As to be honest, anything can be turned into a paperweight, but gifting a curio in its name is a smart choice. 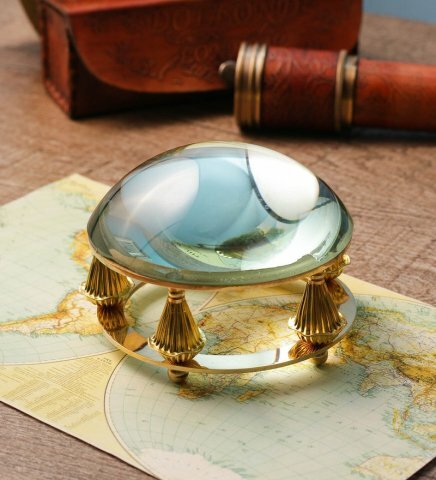 The Gold Brass Paper Weight Magnifying Glass by Exim Décor from pepperfry.com is an elegant showpiece that is sure to spruce up the look of your room decor. This curio is designed with minute detailing, by propping up a magnifying glass over golden pillar like hands. It is attractive, serves the purpose of holding weight, can be used to see tiny details and most importantly seem like the most useful thing in the room. Thus, this paper weight would be the perfect corporate gift. It is priced at Rs. 1,729. Last but not least, something that has all the tiny elements needed for being the perfect corporate gift box. A gift need not be a single thing. It could be an assembly of so many tiny elements that would create the perfect corporate gift. The Hustle, 330004 from 5by7.in is the perfect hustle box with small things that make you productive and inspired during the day. It is specially crafted for the present generation and has contemporary premium quality materials that would be a treat for anyone who uses it. The hustle box consists of a set of 2 cord holders, a walnut mouse pad, a black matte pencil, a craft writing pad, a walnut ice jotter, a slim lily metal pen and a message card. These all come in a gift box. There is a number of choices for the gift box as well. This box contains handpicked products that are genuinely needed for an office atmosphere. This is indeed a great gift. 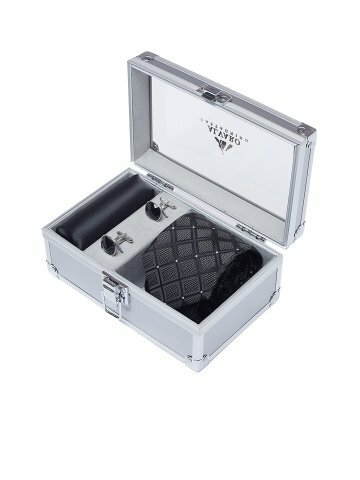 This hustle box is priced at Rs. 1,999. The price varies and reduces greatly on ordering a larger number. Keep in mind these small details while presenting a corporate gift. Remember that this gifting process should happen, and be done in official capacity, with personal references kept to minimal. Stay away from glittery wrappers and flowy ribbons. Even a brown paper wrapping would suffice, with a sticky note as the greeting card. To make it fancier, go for subtle coloured, sober rough finish wrapping papers and solid cards to write regards. Wrap neatly without loose ends and bumps. Make sure to use a clear cello tape. If needed, give only a single tie of satin ribbon. A handwritten note always conveys better and is deemed to have more warmth. Write semi-formal, short sentences to convey the substance of information or greetings. Keep things crisp and clear in neat legible handwriting. It is best to set aside a certain amount annually and just dedicate it to purchasing corporate gifts for all kinds of occasions. 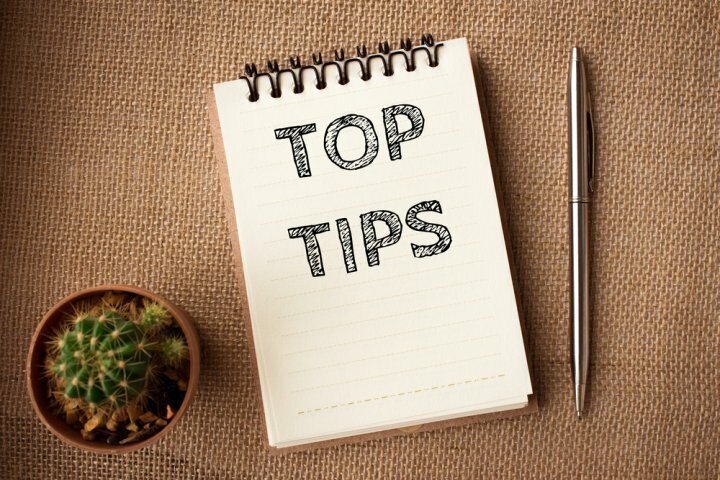 By doing so, you can ensure that you are never hurried in your selection of gifts at the last moment and always well prepared when the occasion demands that a gift or two be handed out to employees. 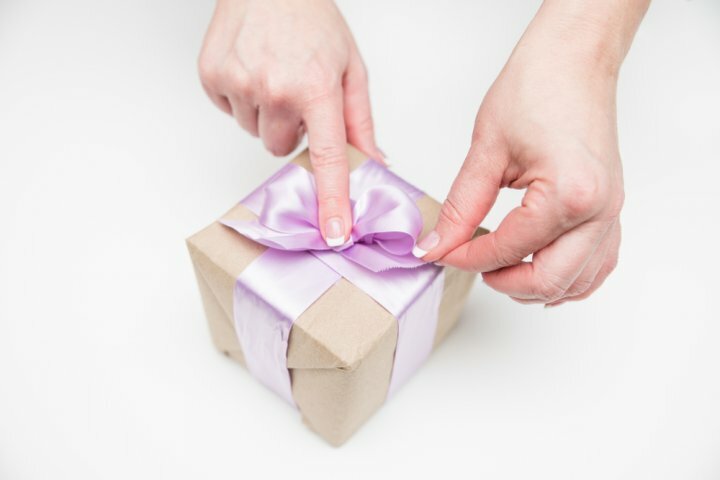 Sometimes, gifting your employee or a client in an off the cuff manner has more impact than gifting in an expected and organized event. Lastly, if your clients are going about adorning your gift or putting it on public display, then you simultaneously end up benefiting from brand promotion as well.